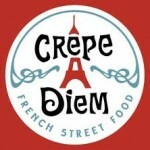 Crepe A Diem Dinner at POP Nashville March 27th! 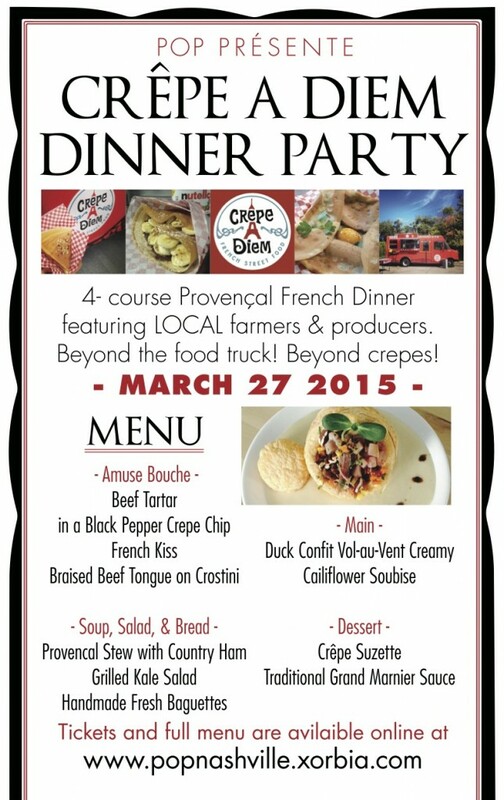 Chef Brittney Blackshear of Crepe A Diem is stepping off her Award Winning Food Truck for a Four Course Provencal French Dinner this coming Friday, March 27th. We all know Brittney and staff who support our local farmers with great food each Saturday at the Franklin Farmers Market. Brittney would like to share some of her favorite French dishes at POP Nashville, a unique dining experience in East Nashville. It will be a thoughtful dining experience with many of the local farm food you’ve come to enjoy each Saturday at market. Please join us in supporting Brittney as she moves beyond her Crepes for a memorable dining experience to be enjoyed by all! provencal stew with french flageolet beans | rice’s country ham | local leeks | swiss chard in a Rich Jambon Broth. Can’t wait until the end of the month? 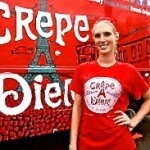 You can find the Crepe A Diem food truck every Saturday at the Franklin Farmer’s Market with a special Brunch menu. This entry was posted in Market Saturday News on March 21, 2015 .